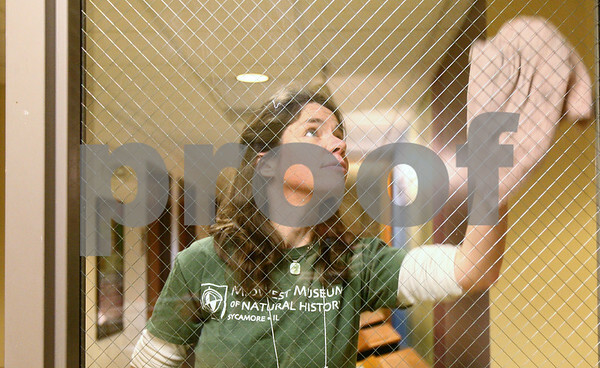 Midwest Museum of Natural History Director Molly Trickey cleans glass surfaces around the Sycamore museum on Wednesday, Jan. 23, 2013 in preparation for their Groundhog Gala fundraiser on Saturday Jan. 26 from 6 to 9 p.m. The event will feature seven live exhibitors, food and live music. Tickets can be purchased at the door and are $30 for a single ticket or $50 for two.